As realtors we can never compel you to hire a home inspector or do a home inspection but it certainly is our practice to strongly recommend you do so. This recommendation is so important that if you decide not to do a home inspection, we will ask you to sign an acknowledgement that you have received this advice but decided against it. It will be impossible for a home inspector to eliminate all potential problems as he is simply not able to look through walls or underneath the home, for instance. However, a home inspection will definitely reduce the risks of you buying a problematic home. 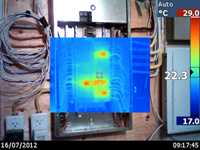 There are some home inspectors in Calgary who use thermal imaging in their home inspections. This is an unbelievably powerful tool that can make distinctions between warm and cold, making it possible to notice leaks, mold growth and poor insulation.In our practice, we have witnessed several instances where a buyer decided not to buy a home because of a negative report. Because a home inspector is a generalist, he will sometimes not come to a conclusion but refer you, instead, to a specialist. In our case this occured several times with cracks in the foundation. Some cracks may be due to settling but if the home inspector has any doubts, he will tell you to seek further expertise. Thermal Imaging may discover leaks, mold and hotspots. The home inspection will cost anywhere from $450 and up, depending on the square footage of the home, its age and the tools the home inspector uses. We believe that this is money well spent and it will give you a lot ease of mind. In addition, you will learn a lot about your home if you follow the home inspector around and read his report thoroughly. We often understand from the public that they have a hard time trusting a home inspector. To some degree we do understand, as we know that it used to be a non-regulated branch and an online course could turn anyone into a ‘home inspector’ in no time. 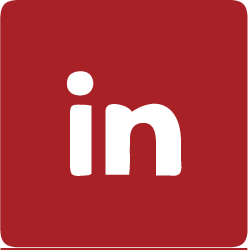 However, in 2011 this changed and today the home inspection industry is regulated by the Alberta Government and the requirements are more stringent in order to obtain a license in Alberta. Before hiring a home inspector read Hiring a home inspector, provided by the government. To become a home inspector one can go through CMI, Certified Master Inspector. Always ask your realtor first for trusted names. Your friends and family may have worked with good home inspection companies for their home purchases. Do not be afraid to ask the home inspector for a sample report. This report will give you a good indication on how thorough this home inspector will do his home inspection. We are happy to tell you that we work often with one of the best home inspectors in Alberta. Again, a home inspector cannot guarantee to eliminate all risk but he sure will eliminate a lot of risk. You will probably quickly forget the dollars you spend on the home inspection. But not having your home inspected may turn in to an event that you will never forget.